It’s always interesting to read two books which cover the same subject 50 years apart. It’s even more interesting when that subject is Himalayan mountaineering, one very close to my heart. In the last couple of months I’ve read an epic modern work and an old classic. Inevitably, they’ve covered the subject from slightly different angles, but both have provided me with some marvellous armchair exploration. Here I offer up my comparison. It’s facile to state that Himalayan mountaineering has undergone huge changes in the last 50 years, but it’s worth explaining why. All the major peaks have been summited, not just for the first time but by multiple routes. Expedition styles have travelled full circle. In the first half of the 20th century, lightweight expeditions tended to be exploratory and involved mapping new country, while those concerned with ascents were invariably on an epic scale, laying siege to the mountain with a series of camps and supporting teams. Since then many of the more notable ascents have been done “alpine style” by small and mobile teams. Meanwhile the development of commercial mountaineering has led to a return of siege tactics, with large well-supported teams on the bigger peaks. As significant as any of these developments have been the improvements in mapping. Had you told Kenneth Mason, who spent much of his life surveying vast mountainous areas that were completely unexplored, that mountaineers would be studying new routes up mountains from the comfort of their armchair using Google Earth, then he probably would have thrown his theodolite down a crevasse, put his underpants on his head and strangled himself with a tape measure. But without further ado, here are the books. Kenneth Mason’s classic book, first published in 1955, is subtitled A history of Himalayan exploration and mountaineering from earliest times to the ascent of Everest. It’s a bit of a mouthful (as the bishop said to the actress), but it accurately describes the contents. 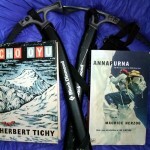 The book is as much about exploration as mountaineering for two very good reasons. It was written at the very beginning of what would become known as the golden age of Himalayan mountaineering. In the 1950s nearly all of the world’s 8000m peaks were climbed for the very first time, and Mason is only able to touch on a handful of these ascents very briefly. Although many attempts were made in the first half of the 20th century, very few Himalayan peaks were actually climbed before then, many expeditions received funding from scientific bodies such as the Royal Geographical Society, and their objectives included surveying and science alongside climbing. Then there’s Mason’s background. A geographer by profession, he worked for the Survey of India, and made several expeditions to the Himalayas himself to map unexplored territory. Because survey stations were often on the tops of mountains, he also climbed, and one of his most notable contributions included mapping the Shaksgam area of the Karakoram north of K2, which was later completed by the great mountain explorer Eric Shipton. The first hundred pages of the book is almost a Himalayan geography lesson. He describes all the regions of the Himalayas from west to east, from Punjab to Assam, and the various river systems that divide them. He was a great admirer of Sir George Everest, the Surveyor General of India after whom the world’s highest mountain was named, and goes into a lot of detail about the work done to map India and the Himalayas by the Great Trigonometrical Survey in the 19th century. He provides some fascinating history about the early explorers and surveyors, such as the Pundits, native Indians who secretly mapped Nepal and Tibet disguised as pilgrims. The journeys of great Himalayan explorers figure prominently in his story. Names which crop up again and again include Martin Conway, the Duke of Abruzzi, Alexander Kellas, Tom Longstaff, Fanny Bullock-Workman (who was admired for being a pioneer, but was apparently crap at map-making), Charles Bruce and Eric Shipton. 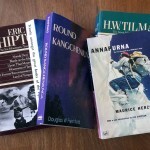 The chapters which cover the early part of the 20th century provide a tantalising introduction to mountain explorers who were also great writers, and it has provided me with a long list classic mountain travel books to add to my reading list. The 1930s were a decade of many attempts and many failures. Mason covers all the classic expeditions, including the Brits on Everest, Americans and Italians on K2, and the disastrous German attempts on Nanga Parbat, which make the Titanic look like Three Men in a Boat. The book ends too early. Annapurna, Everest, Nanga Parbat, K2 and Cho Oyu were all climbed for the first time as he was writing it, and most of the expeditions are covered only briefly. Which brings us neatly onto our next book. Maurice Isserman and Stewart Weaver are two professors of history from American universities who clearly have a great love of the Himalayas. They have produced a monumental book which has to be the Himalayan history to end all Himalayan histories. But far from being a dry academic work, it’s a rip-roaring layman’s read rich in quirky anecdote and humorous interludes. The copious footnotes and Herculean bibliography alone will keep lovers of mountain literature happy for a lifetime, and I’ll certainly be referring back to them again. Published in 2008 the book is subtitled A history of mountaineering from the age of empire to the age of extremes, which looks like a bit of a nod to Mason, and they’re quick to acknowledge his influence in the text. They have a bit more material to work with than he did, though. They keep the geography lesson lighter and cover the contribution of the Survey of India in less detail, preferring to acknowledge the contributions of explorers. The chapter headings are a bit more idiosyncratic. The opening chapter, Where men and mountains meet, a quotation from William Blake, covers the geology and geography of the Himalayas, and adds the human context by describing the early exploration and the birth of mountaineering in the Alps. Because it’s there, the famous words of George Mallory, is a chapter covering the early attempts on Everest. Don’t be a chicken hearted fellow were some words Bill Tilman and Charles Houston saw scrawled on a shrine in southern Nepal when they were starting out on the first ever reconnaissance of Everest from the south side, and the chapter chronicles the build up to the first ascent of Everest by Hillary and Tenzing. There are still a couple of hundred pages to go when the pair get to the point where Kenneth Mason’s history ends. They cover all the ascents of the 8000m peaks in a chapter entitled The Golden Age of Himalayan Climbing. The last two chapters, New Frontiers, New Faces and The Age of Extremes reflect changes in mountaineering that Mason could never have envisaged. 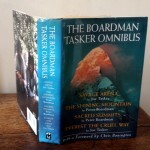 The pioneering extremes of Reinhold Messner in climbing 8000m peaks alpine-style, solo and without oxygen; the development of the trekking industry and commercial mountaineering; televised and sponsored mountaineering pioneered by the likes of Chris Bonington in the 60s and 70s; and extreme high altitude rock climbing, such as Boardman and Tasker’s ascent of the West Wall of Changabang, are all covered. It’s an epic work that I’ll be dipping into many times in the future. Perhaps the only deficiency is that, understandably, the book is Anglo-centric. 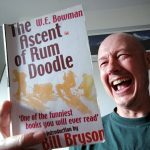 The authors appear to have read every book on Himalayan mountaineering ever written in the English language, but I suspect there are a few notable feats by non-English speaking climbers, such as continental Europeans, Chinese and Japanese, that have been missed out because the accounts have never been translated into English, but you can’t fault the authors for this. Fallen Giants is so good that much of Abode of Snow, interesting though it is, is rendered anachronistic, mainly of interest to die hard mountaineering history buffs like me. I’ve known for a long time now that the more you travel the more you have left to explore, because you’re always discovering new places. Reading Fallen Giants has been an exact parallel. I know a lot more about Himalayan history after reading it, but I also know how much more I still have left to read. This is a good thing, by the way. I have hours of enjoyment ahead of me, and I don’t even have to get up off my fat arse to do it. I’ve read quite a few mountaineering books by now, and I keep running across these stories of people losing their down mitts (blowing away, setting them down and watching them slide off the mountain, etc). Why on earth hasn’t anyone invented a mitt that clips to a down suit so you can’t lose it? They make them for little kids. I mean, obviously use tiny carabiners or something instead of the shoddy clips for kids, but really? This should NEVER be a problem. For anyone. Unless of course you’ve just been slammed down the mountain by an avalanche, in which case you have bigger problems than losing a mitt. 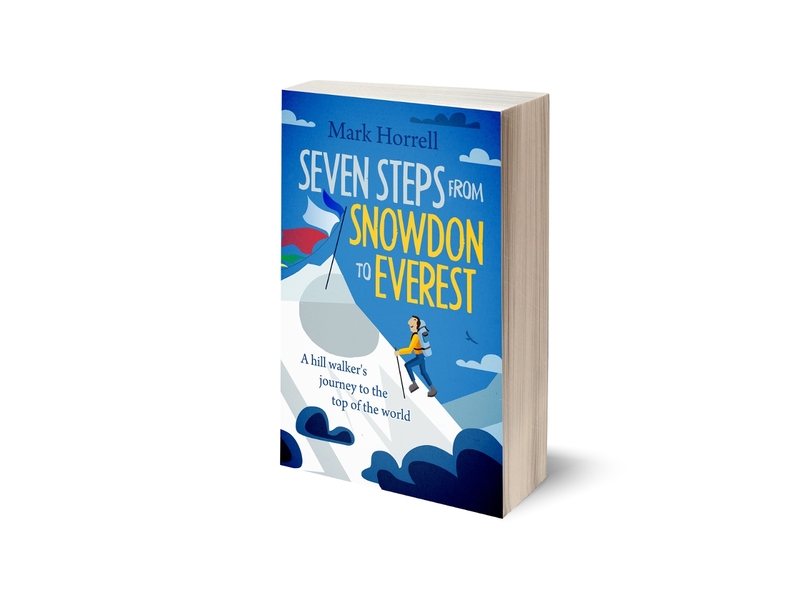 Ah, yes, otherwise known as “doing a Herzog” (see https://www.markhorrell.com/blog/2011/5-great-books-about-mountain-exploration/). Many down mitts come with an elastic or drawstring loop attached to the cuff, which you can slide up the arm when you need to take them off for the extra manual dexterity. I’ve actually sewn elastic loops into any down mitts I have without them, and always carry a spare pair of mitts with me in case of just such an eventuality. It’s so easy to lose one through absent-mindedness on an exhausting summit day, since the wind is often so strong that if you let go for a single second then they’re gone. Another popular method involves sticking the mitt down the front of your jacket, though on a cold summit day the zip is often frozen up. Why down suits don’t come with down mitts attached probably just comes down to cost: it would make the whole suit more expensive and not everybody buying a down suit needs an extra pair of mitts.